to the one for T-Mobile USA (except for the 3G frequencies), with the Apple iPhone 3GS. 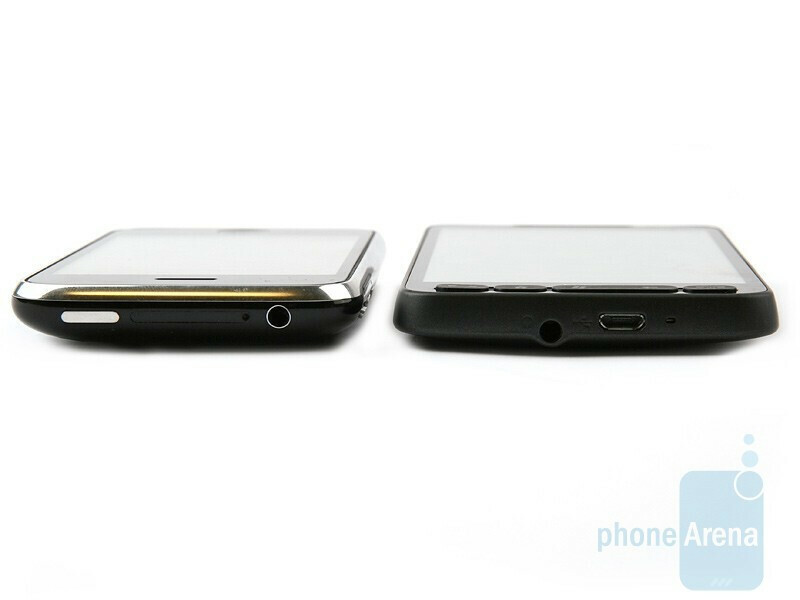 Now that we have reviewed the HTC HD2, we realize that it happens to be one of the best smartphones that we have seen. Thanks to its capacitive screen and great interface personalization, the HD2 has what it takes to rival even the cream of the crop high-end handsets. That´s why we decided to present you with the current article and closely compare the two titans of the cell phone industry today. Can we have your full, undivided attention, please? 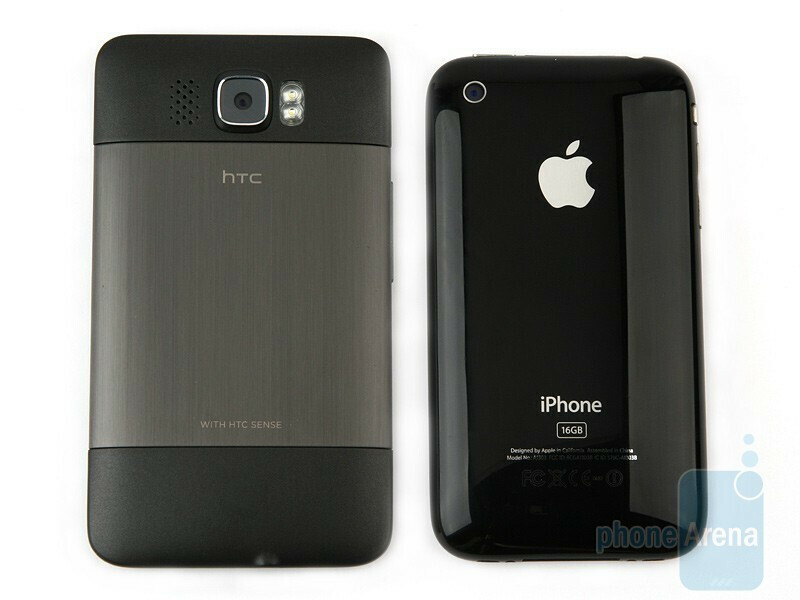 Because the HTC HD2 and the Apple iPhone 3GS are about to cross swords in an epic clash. Side by side, the HD2 and iPhone 3GS look similar and yet much different from each other. On the one hand, they both deliver customer interactivity that is heavily dependent on touch sensitive screens. On the other, there is significant difference in scale here. The 3.5-inch screen of the iPhone is by no means small, but the 4.3 inches of the HD2 dwarfs it and makes it look as it was tiny. Both displays offer good image quality indoors, but the iPhone has the upper hand outdoors, in bright sunlight. Their sensitivity is extremely high, although the HD2 has the edge here, despite the fact that this is not much of an advantage in this particular case... we will tell you why a bit later. As we have already mentioned in our review, the HTC HD2 has the most compact dimensions achievable given its huge screen, which explains why it´s slightly more voluminous than the Apple iPhone 3GS. Despite the larger size, however, we don´t really think the HD2 is at disadvantage, because the difference is not significant and if anyone is willing to carry about the iPhone in their pockets, there is absolutely no reason for them to feel reluctant about tucking the HD2 in there. It ´s not right to pass final judgment based on the outer appearance and appeal of any device, because design is totally subjective and something that everyone decides for themselves, as they say, one man´s meat is another one´s poison. 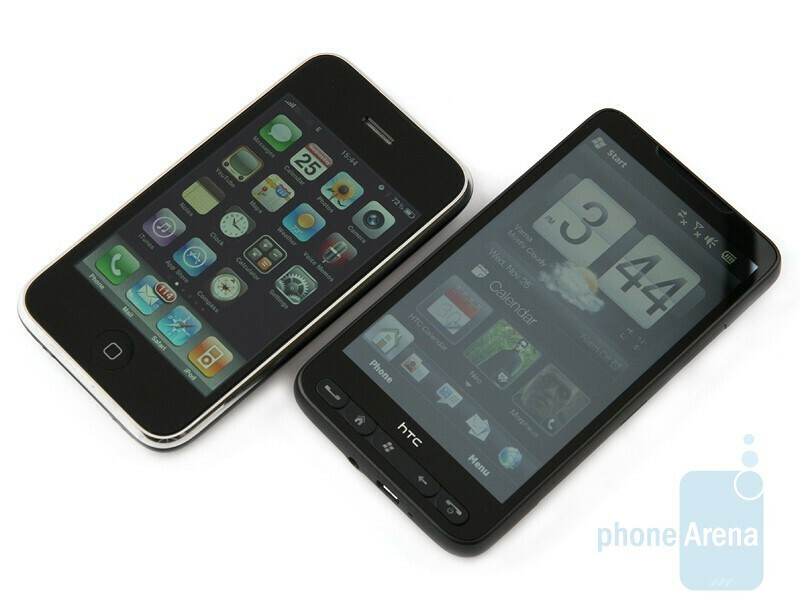 Would you prefer the iPhone’s appearance, or you’d rather choose the style HTC has picked for the HD2? We consider them equally nice. I like how both phoens fail when it comes to their original use of "VOICE CALLING". But users like me that want this type of phone (HD2!) most likely will be getting the phoen for all the other stuff it does, and voice calling much further down the line for what's important. I honestly talk 1-2 hours total per month... 500-1000 sms and 2-3gb of data. I'm in the same boat as you. I hardly use voice. Messaging, email, and data are what I use most. Because it depends on what YOU prefer, there is no perfect phone. Personally, I look for high quality voice as my top priority. I'm thinking seriously about using only my cellphone (no land line) and pretty pictures and messaging don't make up for lousy voice. The HTC HD was my top pick until I read this. I already knew the iPhone had poor voice quality and that's why I never considered it. Then this review says the pictures taken by the HD2 are marginal at best. Forget it. Now, I'm waiting for the SE Experia X10. True but that doesn't mean that one isn't better than the other, hd2 should be the winner for many reasons. Phone arena is just to scared that Apple will sue them if they bash their precious old old old slightly improved one and only Iphone! grow up MAC and make it better! Hmmmmm.... i think the lack of comments about this review says something? Anyway, this phone does indeed require me to check it out. Also, the Omnia II that is FINALLY being released looks pretty good. I agree, voice seems to be dropping all the time for me. Text messaging is by far easier than 10 to 20 minute useless calls. Video recording on the iPhone is 640x480. 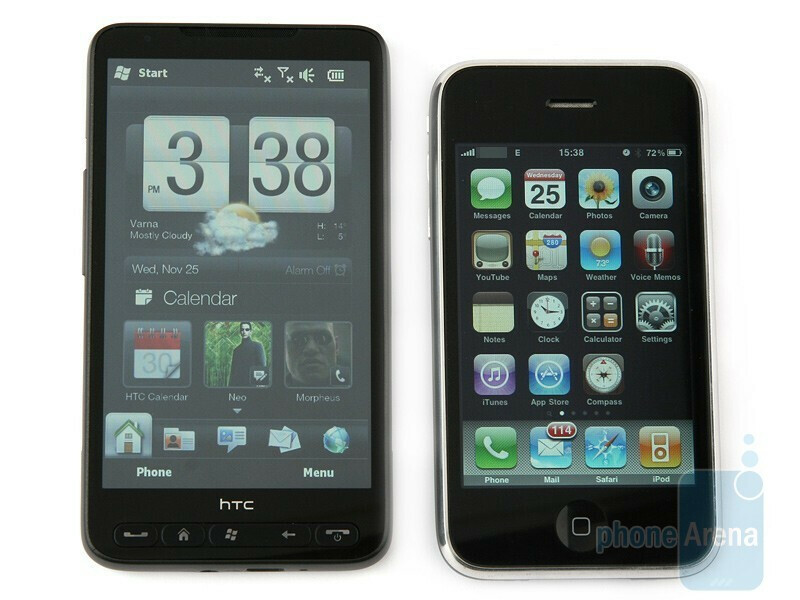 I would have to see the HTC HD2 for myself to determine if it is better than my 3GS. I'm using iPhone for a year. Had many Windows Mobile phones in the past (Touch Pro 1, Touch Pro 2, Samsung Omnia 1, and more). Recently I had a chance to play with the HD 2 for an entire evening. Bottom line - iPhone beats every windows mobile phone except for this one. Why you ask? Because the HD2 has better camera, better screen display, and also has a capacitive screen. You can read more about my experience with it in here:http://mobilespoon.blogspot.com/2009/12/one-night-stand-with-htc-hd2.html But… (and there is a but): The only problem is that below the nice fancy UI there is still the old Windows Mobile stuff so if you are not used to it or not willing to get a little bit "dirty" with hacks and tweaks - stick with the iPhone. Other than that - HD2 is one of the finest phones I've ever tried. The HD2 is a Marvel to be sure. hi friends , 2 days ago I try to buy an Iphone 3g 8 gig and one of my friends toold me buy iphone 3gs 16 gig . then my boy friend told me dont buy any iphone . and he give me this site for review ! I see all of pages and read about HTC H2 and I found it amazing . 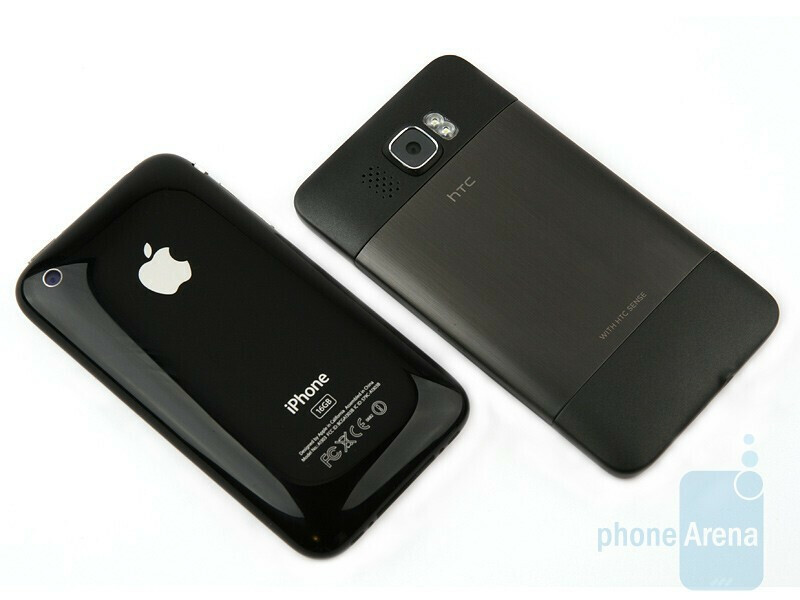 but steel I am comfuse vs iphone and htc ! can you help me for buying and choose best ! wich of them are good ? i have no mac computer . I hate Itune . i have no credit card for buy programs from apple store . and I live in a country that I must unlock my phone for use my sim card in the iphon . altought I can pay 5 pound to unlock it but the apple co. put my contry IP in black list ! so . what can I do ? 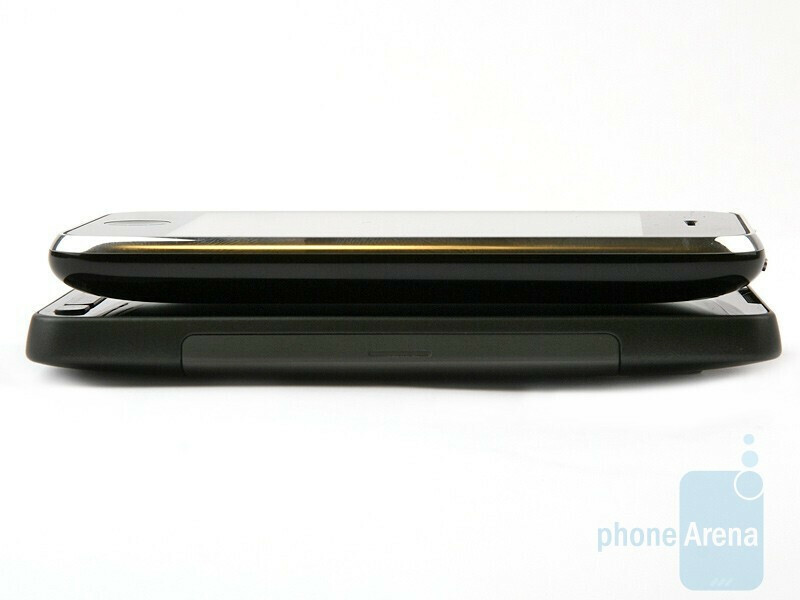 is HTC more large for puting in pocket ? or it have a bag for carring ? I see the film too . but I cant understand wich of them is good more ! please help me :( every one told me buy just iphone but the HTC is amazing too ! DON'T get the iphone if you want personalization, because even an unlocked Iphone is hard, to say the least, to personalize. If you don't like I-tunes is also a huge reason not to get one, because the iphone is all about i-tunes and app store is based on itunes.